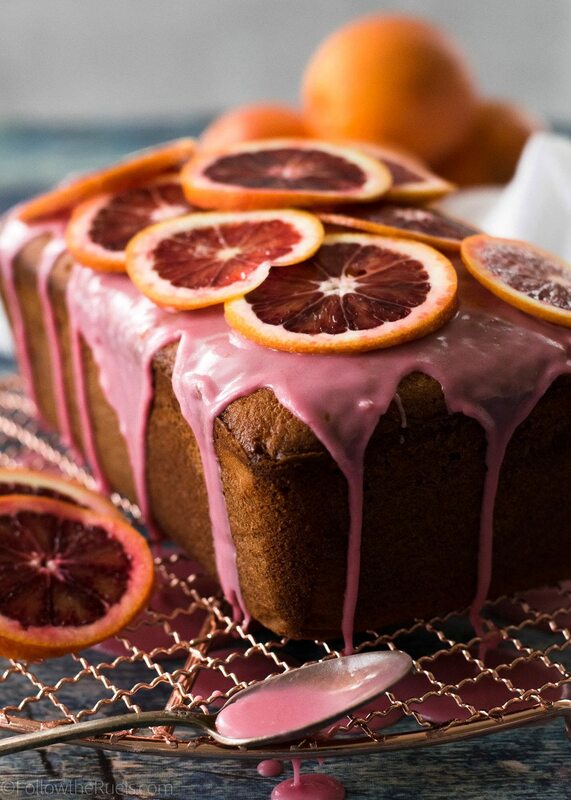 This blood orange pound cake may look a bit fancy, but it’s really just your typical pound cake with a few extra accessories. Preheat oven to 300 degrees. Line a loaf pan with parchment paper and set aside. Cream together butter and sugar until very light and fluffy, about 2 minutes. Mix in eggs one at a time until just combined. In a large bowl, combine the all purpose flour, almond flour, and salt. In a small measuring cup combine the blood orange juice, milk, zest and extract. Add approximately 1 cup of the flour mixture to the butter and egg mixture, and mix until combined. Follow that with a third of the juice mixture. Repeat this step until all the dry and wet ingredients have been incorporated into the batter, ending with the last cup of flour. Pour the batter into the prepared pan and place in the oven to bake for 1 hour and 25 minutes, or until a knife inserted into the center comes out clean. Remove the cake from the oven and let cool on the counter. Once cool enough to handle, remove the cake from the pan and continue to cool. Meanwhile, mix together the powdered sugar and blood orange juice until you have a thick glaze. It should easily flow off the back of a spoon. If not, add 1 tsp of water at a time until it has reached the desired consistency.